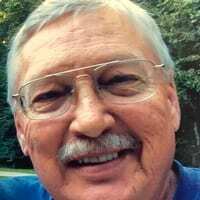 James was born and raised in Lumpkin County but his heart and soul belonged to Montana where he loved to hunt, fish and be outside with nature. James was the devoted son of the late Nettie Seabolt. He will be loved and remembered forever by his family; Paige and Lamar Reeves, Hamilton, Montana, Todd Seabolt, Spokane, Washington, Tony and DeVonna Seabolt, Dawsonville, and granddaughters, Piper and Sheyenne Seabolt. A memorial service will be held at 2:00 p.m. on Saturday, December 15, 2018 at Dahlonega Funeral Home with Rev. Joe Gaines officiating. The family will receive friends also on Saturday from noon until the hour of service. In lieu of flowers, memorials may be made to St. Jude Children’s Research Hospital and also please cheer for Georgia Tech. James would have wanted it that way.